An hour away from the beaches of Marseille and the Camargue country, a 15-minute drive from the artistic city of Arles and a stone’s throw from the mythical village of Les-Baux-de-Provence, le Hameau des Baux is a peaceful haven nestled in a a park of 5 hectares in the heart of olive groves. In its 21 rooms and suites opening on nature and its splendid villa which can be made private, you are welcomed as a friend, while treated to top-quality service in a timeless setting. 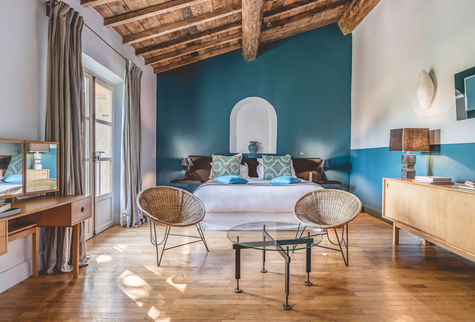 Nature, culture, gastronomy, adventure, renewal, well-being: Le Hameau does it all. Here, guests get to simply be themselves, enjoying casual yet caring and respectful service. Hameau’s new chef proudly flies high the five stars hotel’s gourmet bias. Christophe Chiavola and his team create a seasonal cuisine crafted with the best local ingredients, served with a large selection of organic wines. 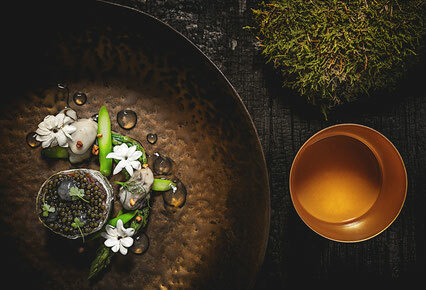 Cicada, la Table du Hameau the newly awarded one star restaurant proposes a refined and creative dining. La Cantine du Hameau is open every day for lunch and serves contemporary gourmet bistrot cooking, fresh and yummy. In the summertime, le Hameau’s food truck, dubbed Camion Bleu, welcomes you under the centenary plane trees for a casual get-together moment. La Cantine du Hameau : what are we eating for lunch ? Are you short of ideas for a fun family getaway during holidays?